Enterprise Content Management is all we do. We have been working in close collaboration with our clients and IT consultancy firms for their content management requirements, however large or small. Beginning with the very first version of Microsoft SharePoint, we have so far covered the entire spectrum of services possible around it's ecosystem; and have gradually built our services around various Content Management systems built on the Microsoft platform, such as – SiteCore, DNN, Umbraco and Sitefinity. Our history with SharePoint, combined with years of experience and product knowledge that our Consultants bring to the table, will ensure your users have an intuitive as well as an efficient system for all the Enterprise Content and collaboration requirements. Thus ensuring they have the right information at the right time for efficient decision making. Our combined experience with SharePoint will guarantee us a spot in the SharePoint history archives. Starting with the very first commercial version of SharePoint in 2003, Our SharePoint consultants have been experts for each successive version thereafter – MOSS/WSS 2007, SharePoint 2010, SharePoint 2013, Office 365 - SharePoint Online and currently SharePoint 2016. Our services include Strategic Consulting, global implementations, farm configurations, Health Checks, Social Collaboration, UX & Branding, SharePoint development & customization, SharePoint Workflow implementations, SharePoint BI, Public Facing Sites, Intranet/ Extranet Portals, Enterprise Search, 3rd Party product Integration, SharePoint upgrades, Migration to SharePoint (earlier versions/ legacy application), SharePoint Maintenance & Support. Office 365 brings you the Office you know, plus the ability to get more done, anywhere, anytime. Be it your computer, tablet, or your phone, Office 365 has all your content - offline and online - seamlessly integrated. Office 365 is always updated to the latest versions of SharePoint Online, Exchange, Word, Excel, PowerPoint and more. You can browse our past performance with Office 365 following this link. Our technology stack includes services like SSAS, SSRS, Performance Point Services, Excel Services, BCS and latest in the arsenal – Power BI. We have helped a wide array of clients spread across industries, you can take a look at our BI portfolio which should give you an idea about solutions we offer with our Business Intelligence Consulting practice. Upgrade from earlier versions of SharePoint – SharePoint 2003, MOSS 2007 or SharePoint 2010 to SharePoint 2013 or SharePoint online in Office 365. We can also help with migrations from legacy applications to the latest version of SharePoint. We have been dealing with Enterprise Content since our inception, and therefore a progression to development on .NET based Content Management Systems has been a natural one. SiteCore, Umbraco, DNN and Sitefinity are amongst the leading Content Management Platforms available on .Net stack. These Enterprise level CMS allow implementation of scalable applications which are capable of accommodating future growth requirements. We provide end to end services for implementation of these .NET based Content Management Systems for your specific requirements. One of our key differentiator, apart from subject matter expertise, is our ability to create an engaging user experience for both the content creators as well content consumers. You can take a look at some of recent CMS Projects following this link. We understand you have specific requirements and there isn’t a solution available off the shelf to meet your business objectives.  Binary Republik will closely work with your organization to analyze your unique business challenges, technology / infrastructure requirements; and develop a custom solution to meet these specifications. Our exposure across industry verticals like Health Care, Pharma, Manufacturing, Education, Hospitality, Energy, Government, BFSL and Legal helps us quickly get on board and deliver a solution in acceptable time frame and budget. Our Custom Application stack includes technologies like ASP.NET, MVC, WCF, WPF, HTML 5, node.JS, angularJS, Java Script, jQuery, Rest API, Ajax, Knockout JS, Bootstrap, MS SQL, MySQL, MogoDB. We put all the stakeholders on same table to ensure each one of them is clear about the objectives and thus focused in the same direction for the desired outcome. As a part of our development methodology, Our SharePoint consultants strictly follow Microsoft and Industry best practices to ensure the highest quality of delivery and coding standards.